How do you become successful? What are the daily habits of successful people? Do you want to learn how to be successful in a specific area of your life? Maybe you want to earn more money, lose weight, or just enjoy life more. If you haven’t been able to make the changes you need don’t beat yourself up. Often times it’s not so much you but your habits that are holding you back from success. For example, if you want to lose weight find someone who has lost the amount of weight you want to lose. Or if you want to earn more money with your blog or business learn from people who are at the level you want to achieve. Simply put — if you want to learn personal success principles you need to follow what successful people are already doing. Success begins with understanding your habits. You either have failure habits or success habits. Habits are the reason some people can achieve massive wealth while others can barely pay the bills. The good part is that your bad habits can be replaced once you recognize where you need to improve. 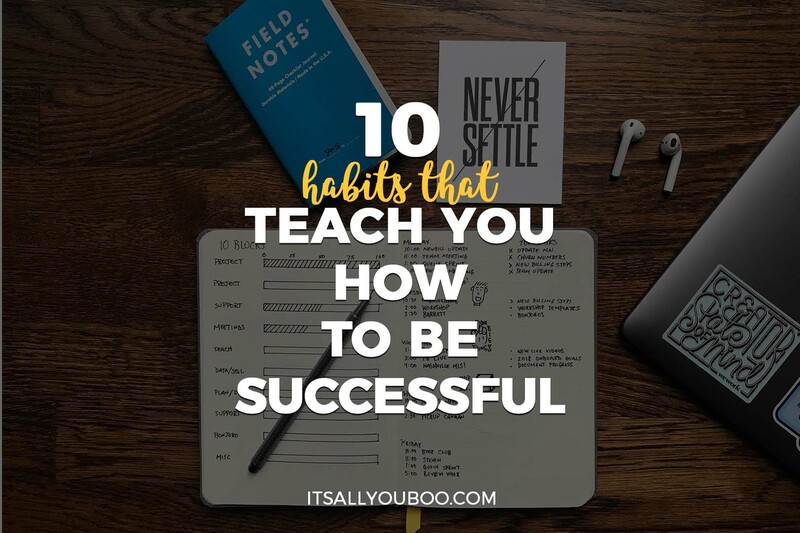 I’ve been fascinated with the habits of how to be successful for over two years. I have read countless books, attended seminars, and enrolled in masterminds to learn directly from these successful people. After all of my research, I’ve found that almost all successful people have at least ten habits in common. Think of these habits as the keys to success in your life. Here are the ten habits that will teach you how to be successful. If you want to learn how to be successful my number one tip is to create an empowering morning routine! After reading Tim Ferriss’ “Tool of Titans” I began to understand the importance of a sound morning routine. He interviewed hundreds of successful people from all industries and over 80% have a morning routine. How do you start your day? Do you struggle to feel awake? Are the mornings a blur? While I always woke up early, I never had any structure for each morning. Now, as soon as I open my eyes I am ready to attack the day. Create a plan or set of intentions for the day. Having a morning routine enables you to become successful. According to Success.com, “Every year 70% of wealthy people pursue at least one major goal.” Your goals should dictate each and every day! Set goals every day in the form of a to-do list and try to always accomplish your hardest tasks first. Aside from your daily goals, you should create monthly goals to see a bigger picture of what you are trying to accomplish. These goals can be work, health, or family related. Your long-term goals will be the “30,00-foot view” of what you are trying to do for the next 1-5 years. Think of them as your guiding vision to crush your goals each and every day. Long-term goals will be ones like buying a home, funding your children’s education, or starting a business by a specific age. What’s the point of learning how to be successful if you neglect your health and well-being in the process? Sadly, the majority of people focus on earning more money instead of focusing on their health. The goal isn’t to be the richest person in the cemetery, it’s to enjoy your wealth while you’re healthy. Successful people prioritize exercise and healthy eating in their life. Shoot for 30-60 minutes of exercise each and every day. Even if some days are just taking your dog for a long walk, every little bit helps. Successful people are always reading, learning, and focusing on investing in themselves. Self-improvement is part of their daily routine. If your nights are hectic, try to read in the morning before life gets in the way. Start reading articles, blogs, or books that interest you or are related to the industry you work in. Find people who have like-minded goals that you have. If you see someone online that is doing what you want to do reach out to them. From what I’ve found, people LOVE helping others! Surround yourself with winners to help motivate you and succeed faster! Successful people find a way to live each day in moderation. They will celebrate success to an extent but if things go wrong they won’t get into a negative state and remain there. They find a way to keep their emotions in check consistently. When you’re sad, mad, or frustrated you will probably make poor decisions. Try to stay as even as possible to eliminate bad decisions when you’re having a tough day. A good morning routine will help balance these emotions and start your day off empowered. To be ultra-successful you need to adopt a “do it now” mentality. Humans LOVE to procrastinate or put off things they don’t want to do. Instead, do the things you don’t want to do first off in the morning at work or at home. This will create a positive habit of not procrastinating and making sure you reach your daily, weekly, and monthly goals. Once you create your daily goals make sure to complete 80-90% of all goals every day. Life happens, if you can’t complete 100% of them all the time find time for them the next day. When you think of a successful person do you think of someone who has a negative or positive attitude? Do you think of someone who is smiling with good posture or someone slouched over with a frown? Are they optimistic or pessimistic? I think you know the answer. Successful people are positive, constantly smiling, energetic and happy. Even if they have a bad day, they don’t’ let it consume their whole day. Successful people are constantly congratulating themselves internally all the time. Start celebrating your wins in life as often as possible. If you hit your goal at work give yourself a high five, pat on the back or enjoy a good meal out with friends. Whenever you reach a goal, small or large, celebrate your wins! By celebrating your wins your body will release endorphins that make you feel good and want to do it more often. Winning breeds winning. If you want to learn how to be successful you have to be a master with your money. Successful people ensure to save 10-30% of their income for their savings goals and retirement. You have to pay yourself first then your bills. Not the other way around. Earning money is important but saving money is just as important. Find ways to cut costs like extra channels on the cable bill, choose generic instead of brand name, and buy items in bulk. Writing in a journal has been directly correlated with successful people all the back to Thomas Edison and Albert Einstein. Each morning spend 5-10 minutes writing out your short and long-term goals in a journal. Create a vivid picture of what you are trying to achieve. 3-5 goals you want to achieve in the next six months. Before bed, spend another five minutes recapping three wins for the day and what your intentions are for the next day. Whether you love every single part of your life or want to change it all I’m convinced these ten habits will help you learn how to become successful in life. Remember, success leaves clues. Find what has worked for the most successful people on the planet and learn from them. 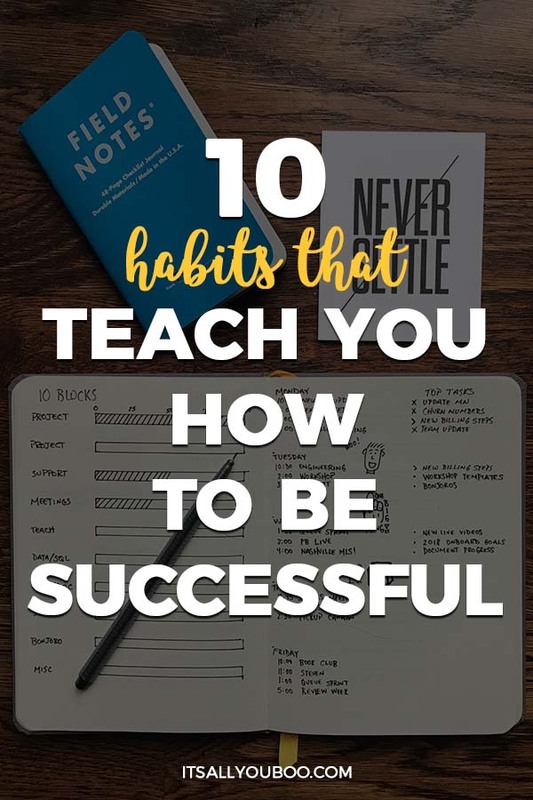 Ready to teach yourself how to be successful with new habits? 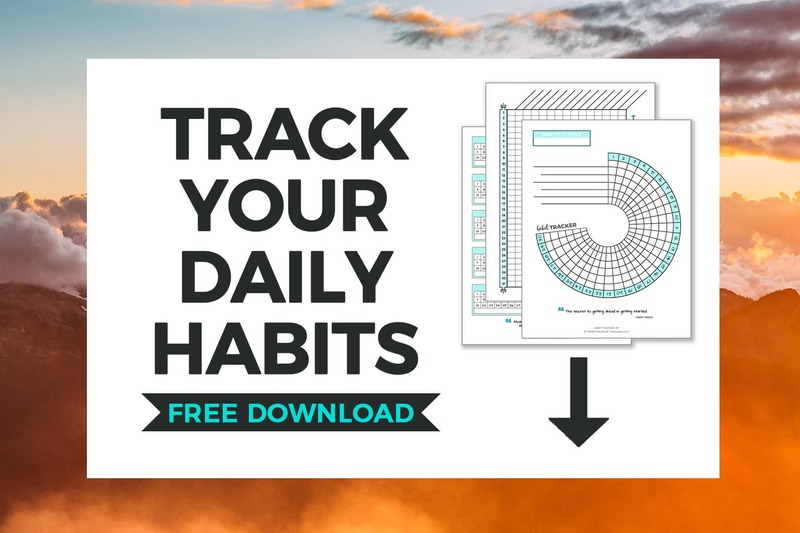 Sign up below to get your printable habit tracker templates, with spreads for 30 and 31 days. Unlock the key to success, one habit at a time. Sign up below for your FREE Habit Trackers + get weekly tips to help you slay your goals. Of all the habits of how to be successful, I think you should focus on a morning routine and investing in yourself. These will both help you make positive changes and experience tremendous amounts of growth in your life. Most people feel stuck in life because they’ve stopped growing in one or several areas. Progress in any area of your life will equal happiness. Start implementing these keys to success to create the life you deserve! What’s your key to success? 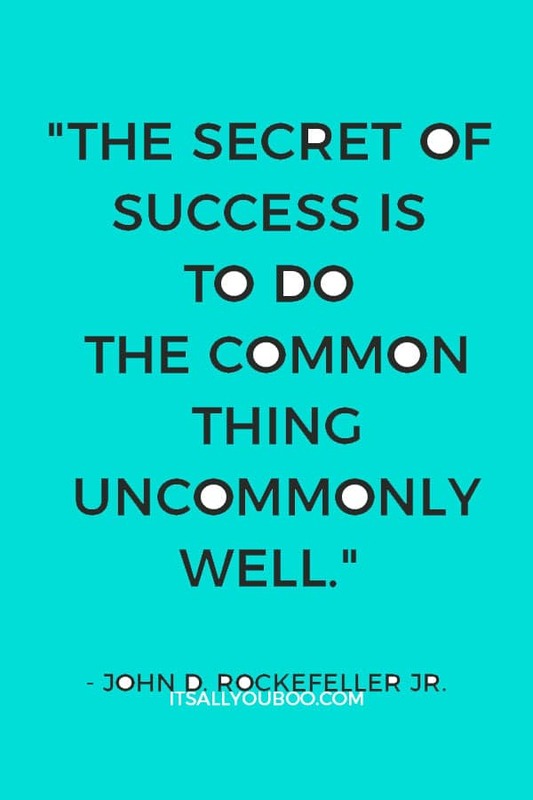 How do you become successful? Michael teaches people about self-improvement, motivation, and success habits at Inspire Your Success. If you are interested in learning more about how to create success in your own life download his FREE “Success Cheat Sheet” to get started. I love this list! While I do have a great morning routine, I really struggle with focusing daily on my health. This was a friendly reminder to do better! Thanks Danasia I appreciate you reading! Great job on a morning routine, that is an awesome habit that not enough people use each day. Try to sneak in your health stuff early by doing your favorite fitness activity and getting it done first thing in the morning. Awesome to hear Sonali. Let me know if you need more help scheduling your days! I loved this blog post. I’m trying to develop a morning routine because I’m in the middle of making a lot of schedule changes as I recently joined a gym. I have always struggled waking up early in the morning because I work late at night, but I’m optimistic that I’d make adjustments. This blog post is a great resource. Thank you. Thanks so much, really appreciate you reading the post. Great job on the morning routines they are HUGE in setting your day up to achieve massive success. When it comes to waking up early I recommend starting slow. If your goal is to get up at 5am but you’re currently getting up at 7am don’t make the switch overnight. Go to 630 for a week and see how you feel. Keep adjusting slowly. Let me know if you need any more help as morning routines have changed my life in 2018 and want to help as many people with it as possible! I totally buy into this hook, line, and sinker. One of my mentors felt the very same way and said the very same things. When he first started teaching me about these things, I didn’t really understand the concepts until I put it into practice myself. I love it when I come across blogs like this because they are always a reminder for me to be more mindful. Thanks for sharing! Hi Kristi — great to hear! I am the same way. Sometimes I will hear the same information from two or three people but it might take a blog, video or podcast to finally make sense and get me to implement it. This is a great roundup of tips. Some may seem pretty obvious but I think it’s those that we tend to forget or find difficult to implement. Thanks for the reminder! 100% agree Sara! Sometimes the easiest things we forget to do but often times can make the biggest difference in our lives. Awesome Lakisha! Journaling is such a great habit to have for all aspects of your life. 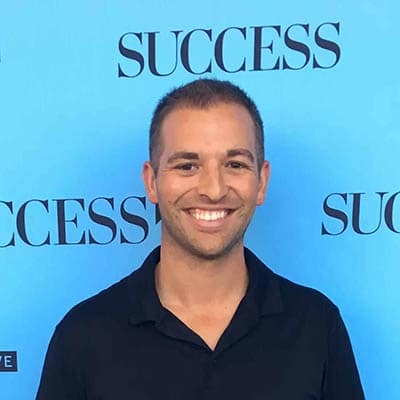 Thanks for reading Ronnie sounds like you’re already doing a ton of these success habits and great job on the side hustles! Don’t be hard on yourself though, I did this for too long and only made it harder to make changes. You’re already aware of what you’re trying to achieve which puts you light years ahead of most people. 1. Meditation – I’ve done all kinds but think TM (transcendental meditation) is my favorite. This daily habit knocks out both symptoms. 2. 90 Second Rule – I learned this from Tony Robbins. The only reason you’re feeling stressed or anxious is that you’re focusing on something wrong. The more you focus on the something the more you make it real. Instead, next time something makes you stressed or anxious give it 90 seconds then switch your thoughts to something you are grateful for in your life. It’s impossible to be mad or negative when you’re thinking of something you’re grateful for. Hope it helps, let me know if I can help more! The only thing from your list that I am not doing is journaling. But that is something I am planning to do. This is a great list and I’ve shared with my followers. Great job doing so many of these! Journaling has been huge for me. Even if it’s 5 mins at night and each morning to bookend the start and end of each day. I am tryin to incorporate some of these habits. I struggle at really making habits. I want to make goals and journal and definitely move more towards Savin 10% of our income. It is no small fete when you don’t start that way. Hi Rachel appreciate you reading! If you’re trying to start I recommend picking 1 or 2 of these habits that you think will help the most. I tried to do too many at once and ended up giving up entirely. My key to success is waking up early. It took me two years to be able to wake up at 4am. I get so much done with my day starting off with meditation and then flowing into brandwork. This time allows me to focus on myself and what I need before working with clients for the rest of the day. Wow you are killing it great job Shauna! I’m in the 430-445 and can’t believe how much it’s changed my life! I have so much trouble being a blogger and establishing a morning routine. I am such a night person. I am soooooooooo not a morning person. I am really a goal setting person. I work so much better with goals set. This year I really have been trying to make my health a priority. I have gained that happy marriage weight and I need to shed that. I have been better about making appointments for yearly check ups also. The past few years I really have tried to take better care of myself. As a full-time blogger/freelancer, I completely understand. The only reason I even started a morning routine is that I was so burnt out. I was working too much, stressed, and my life/biz was suffering. A lot of good points!!! Don’t know where to start! Health is really important; health is wealth! investing in myself… Positive attitude… When I was working, I used to save more than 10% of my income. Anyway, I gave all of my savings to my sister for her education. Hopefully, I can consider myself successful. Thanks Carmen! I recommend picking 1 or 2 that would help you the most and go from there. You can always add more in the future. And I’m sure your sister is very grateful! I completely agree with all of these! I need to be better at sitting down and writing out my long and short term goals. It would help me stay accountable to myself. Also The “Do it Now”! I am horrible at procrastinating! Thank you so much for this post! It gave me lots to think about! LOVE all of these, especially the morning routine one. As I’m getting older, I’m finding that having a bit of time to myself in the am before all the hustle and bustle starts is SO productive! Couldn’t agree more. The mornings are sometimes the only peace and quiet to find during the day! My newest habit I’m tying it to as soon as I wake up. Out of bed, land on the yoga mat. Let’s go! You got it! Pick one habit at a time and make it happen. That’s exactly what I’m doing right now! One at a time. I agree with many of the pointers but some of my methodology and outlook are slightly different. 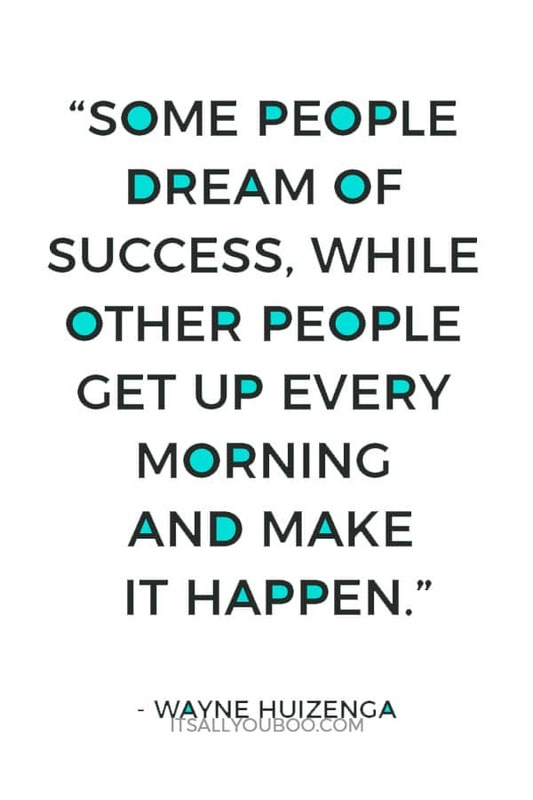 It sure is a good way to get things going and success happening! I agree with all you have said. Having a positive mindset helps massively. Setting regular goals helps as well as you stay focused on the bigger picture. 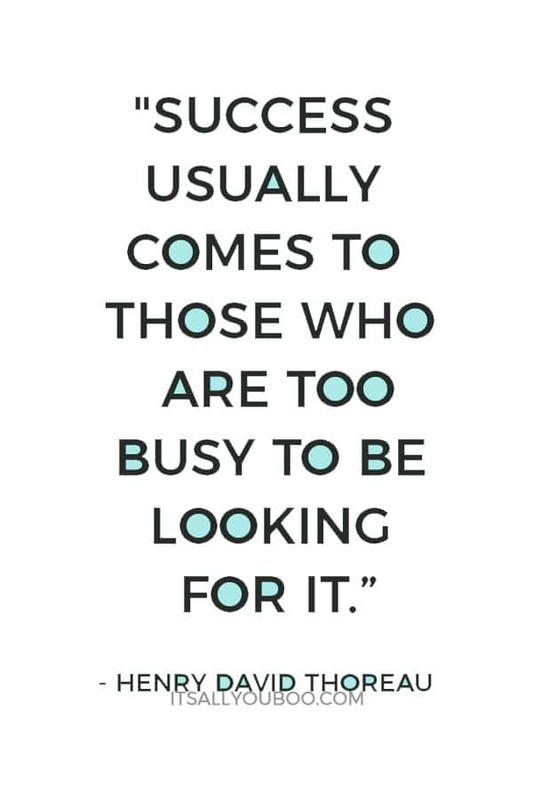 Totally agree — goals, both short and long-term help stay focused! These are great tips! I need to focus on one at a time and get it established. I find that my morning routine sets the tone for the entire day. If I’m rushed in the morning, the day gets worse from there. This is an amazing list, I love where you stated focus on your health the richest person in the cemetery is not a goal, lol. That is awesome you are right! There is certainly more to life and you real do have to invest in yourself or no one else will invest in you. Ha thanks Jen! Couldn’t agree more — investing in yourself is better than any other investment in the world and can never be taken away from you! I love love love this article! I do everything on this list to the best of my ability except journaling. I think I’m gonna have to start implementing it into my life. Thanks Kayleen much appreciated! Journaling is a great way to get thoughts of out your head, set goals, intentions, and help find clarity. These are great tips! My issue is always setting goals and sticking to them. Great read. I must have to set my morning routine and have to save my 10% income which is almost impossible for me but I’ll try. Thanks for sharing. Bookmark it to read it again. Nothing is impossible Sarah I promise you can do both with a plan and habits to back them up. Only one of my favourite quotes ever! I’m a huge fan of setting your own goals. I begin every week with setting my goals for the days ahead. It’s something that I teach my daughter to do as well. YES, that’s a perfect habit for starting the week. I am forever setting and planning and reformulating as the days go on. Great advice Michael. I try to do each of these in some form but I admit I can do better. Some come easy like setting goals, having a positive attitude, and creating lifelong relationships. Others like saving and journaling need perfecting. Thanks for the tips. I so agree with you, Michael has given us some really amazing habits to become successful. One habit at a time we train ourselves to be successful. I could also be better with the journaling. One day hopefully I’ll start! I am the most unhealthy I’ve ever been. Thank goodness for all my food allergies or I’d be even worse. One glass of water at a time, one walk around the block at a time we get better at taking care of ourselves.